With IBM Connections Cloud, companies can infuse ready-to-use, world-class collaboration capabilities through software as a service (SaaS), on-premises and hybrid deployment models. 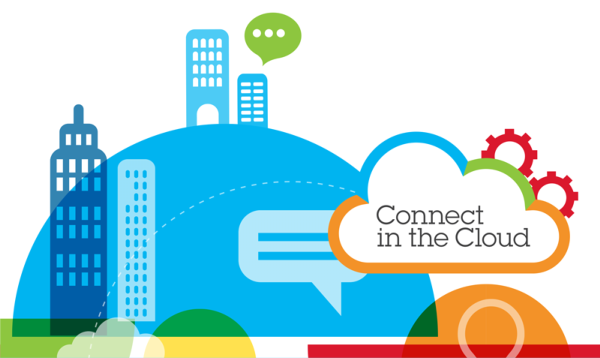 IBM Connections Cloud provides enterprise social networks, including communities, rich profiles, blogs, wikis, forums and more. It also supports your entire collaboration environment with mail, file sharing and sync, chat, meetings, collaborative document editing, and much more, to help people engage with networks of experts to harness the power of collective intelligence. IBM Connections Cloud enables your company to do business easier with increased productivity. It is cost-effective cloud-based solution that makes possible for you to work anytime, anywhere. IBM has integrated basic tools for Cloud business such as document sharing, working in groups, smart e-mail and calendar. It is a comprehensive solution that enables you to work together with both your colleagues inside and clients outside your company via online meetings, instant messaging, project management tools and more. Cost-effective email archiving solution for compliance and e-discovery. It enables you to manage retention and deletion of email, search/filter/tag/retreive emails across users, assign/delegate roles for e-discovery and allows end user access/recovery of archived email. Full-featured web meetings service for real-time communication on the IBM Cloud. It is designed to fit all businesses regardless of their size. The most popular bundle includes everything needed for a successful social business: email solution, collaboration, online document editing and file sharing on IBM Cloud. This package is simplified and easy to deploy. It enables you to do your everyday business in a meaningful way improving your interactions with customers, colleagues and partners. This is a S1 Lite version of package designed for those companies that needs no email solution. It combines social network platform with audio/video/chat and collaboration capabilities. Complete file sharing solution. It is now safe and secure to share your files with whom you need – colleagues, customers and business partners. Web meetings software on IBM Cloud – solution for distribution of information and applications sharing in secure environment. Collaboration services combined with social networking: file networking and storage, business instant messaging, activity management and networking. If you need only email solution packed with calendar, instant messaging and contact management then IBM SmartCloud Notes is perfect solution for you. This is a cloud based business-class messaging solution for organizations that seek for reducing IT costs and complexity. Please contact us for detailed information on any of the solutions mentioned above. We can even offer you a trial via Trial link. Miadria is experienced IBM Business Partner and we are eager to help you move your business to a sophisticated, enterprise-class social business cloud solution.